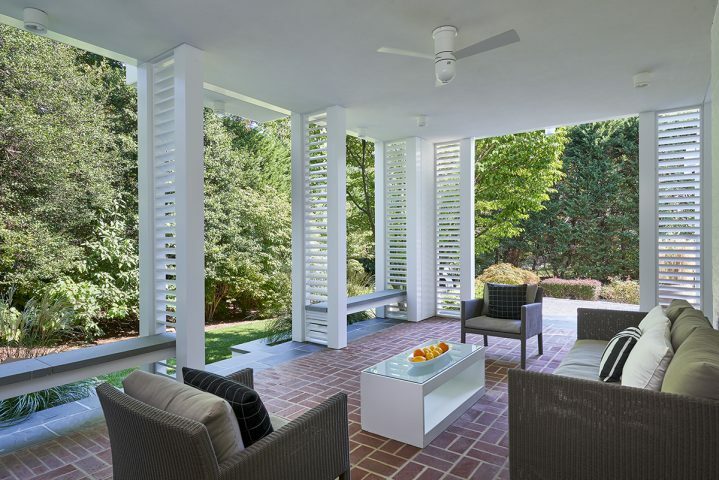 Beautifully renovated in the 1970s by renowned architect Hugh Newell Jacobsen, this home has maintained its timeless aesthetic. 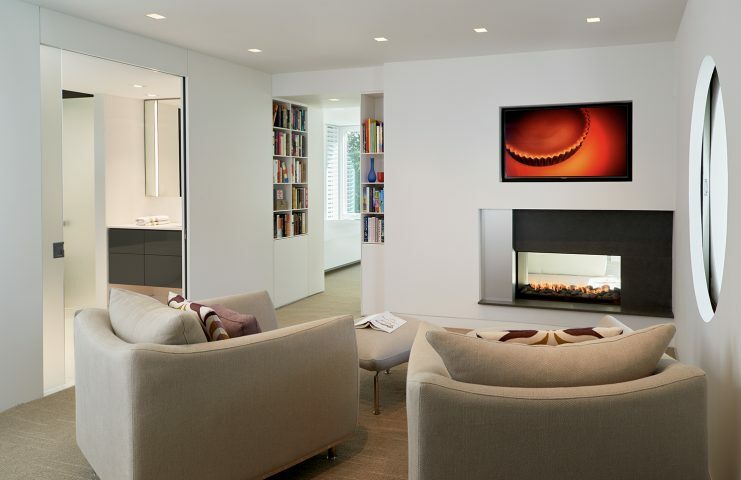 But the new owners wanted to expand their master bedroom suite and update it with more modern fixtures and technology. The new addition included a sitting area, higher ceilings and windows, a double-sided fireplace, and a reconfigured bathroom with spa-like ambiance. Our team worked quietly (one neighbor said he never knew we were there! 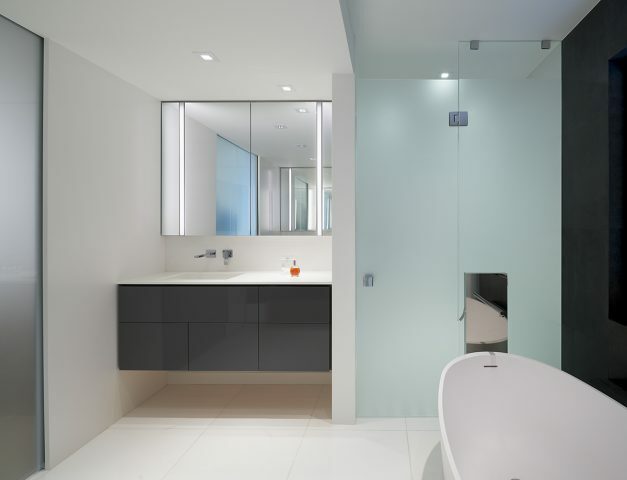 ), diligently and efficiently since the owners were still living in the home during construction. This limited the space available to store materials and restricted our use of most equipment — so our craftsmen built everything by hand. This structurally intense project also included four oversized direct set windows that our team had to fully construct onsite themselves because manufacturers were not willing to build windows that large. But those less-than-desirable conditions resulted in a highly desirable master suite that incorporates today’s style and comforts while honoring the Jacobsen aesthetic that makes this home so unique. 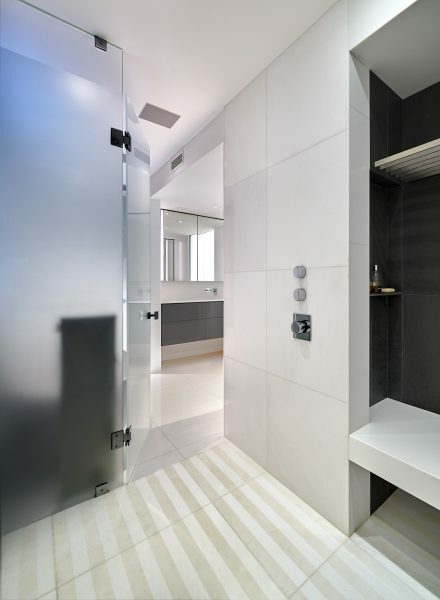 The homeowners chose a striped flooring pattern for their redesigned shower. Given its unique material and pattern — alternating between polished and honed finishes — the owners asked to see the flooring laid out prior to installation. So we used the garage floor to completely lay out the flooring, show them how the thassos marble would be arranged, to ensure they would be happy with it. And they were.